The Wu Lin faction comes to For Honor! Get instant access to four new heroes from the Far East: the Tiandi, the Shaolin, the Jiang Jun, and the Nuxia. Also get Day 1 access to the new Arcade Mode, featuring an endless solo or two-person co-op PvE experience. 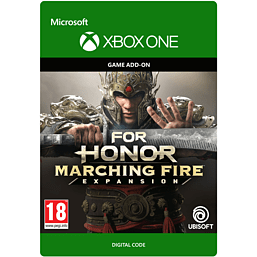 Please Note: For Honor base game is required to play this expansion.